My first memories of The Tubes, was hearing Radio Caroline play 'Don't Touch Me There' back in 1976, at a time when BBC Radio & the UK's fledgling commercial stations bent over backwards to ban anything that was remotely risque, or questionable... well anything! A number of The Tubes band members were students at the same high school in Phoenix, Arizona, as Alice Cooper, what were they putting in the water back there and then? This recording was made at a time when The Tubes were arguably moving towards their first creative peak, which was both visual and musical. 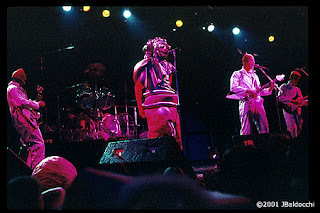 This then is The Tubes live at the Shrine Auditorium, Los Angeles, USA, on the 26th June 1976. Source: Tricky one this. I thought it was definitely an expanded version of a King Biscuit Flower Hour recording, however their site partly contradicts this, any how it's a professionally mixed recording. Sound Quality: Very good stereo soundboard quality @ 192kbps. Genre: Rock, from Pop Rock to New Wave. It was the UK's NME (New Musical Express), that introduced me to Nils Lofgren, way back when I was a much, much, younger person in the second half of the 1970's. I was so impressed I went about purchasing his earlier material with 'Grin', and feel a strange personal satisfaction that has been such a key member of Bruce Springsteen's 'E Street Band'. 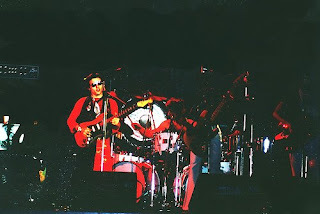 This then is Nils Lofgren and band, back on the 30th May 1977, at the Pink Pop Festival, Geleen, Holland. Source: Local FM radio broadcast. Sound Quality: Very Good quality FM Stereo off air recording converted to 320kbps MP3. Genre: Rock, Blues Rock, high quality guitar and vocals. Set: Part of the festival set (as far as I know), for FM broadcast featuring key songs. Links: Official Site (very good) HERE. Informative Wikipedia entry HERE. Who can forget the legend that was Ron, Dirk, Stig, and Barry? The 'Prefab Four' remain in our hearts forever, a legend in their own lunchtime, always to be remembered as The Rutles. OK I hope you know the story, and some of the music, if not, and if you like The Beatles and love a good laugh this is the perfect parody. This particular recording is from The Rutles pre tour rehearsals, not sure where, its great music though, and also known as 'Sweet Rutles Tracks'. Sound Quality: Good quality stereo (studio rehearsal 'live' recording). Genre: Parody, comedy, musically think The Beatles. Set: Part of studio rehearsal's with some archive Rutles video soundbites.